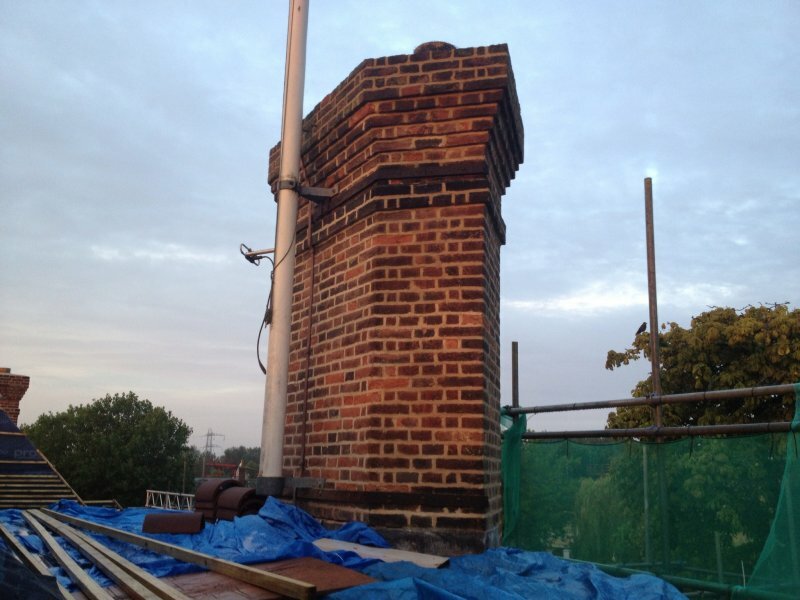 Existing chimneys in poor condition this one is taken down to ridge height of existing roof. 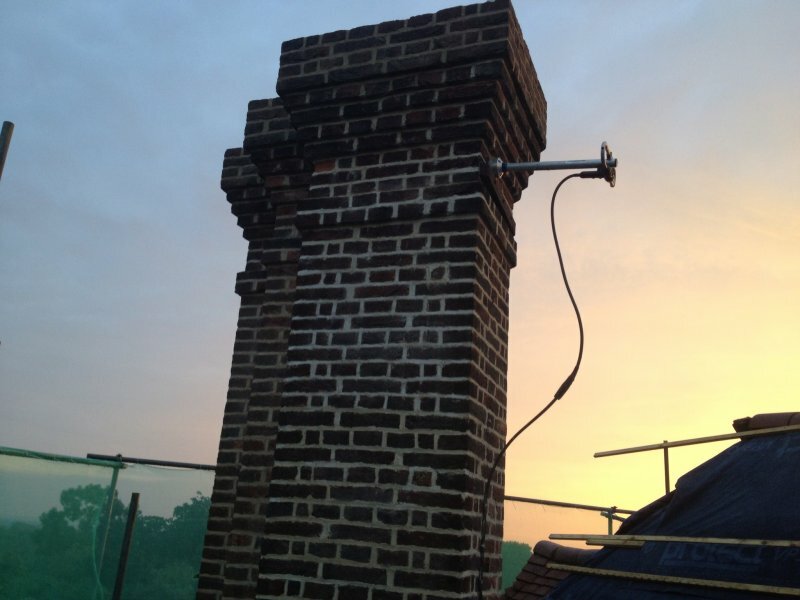 Existing chimney pots removed and safely stored for ready for rebuild. 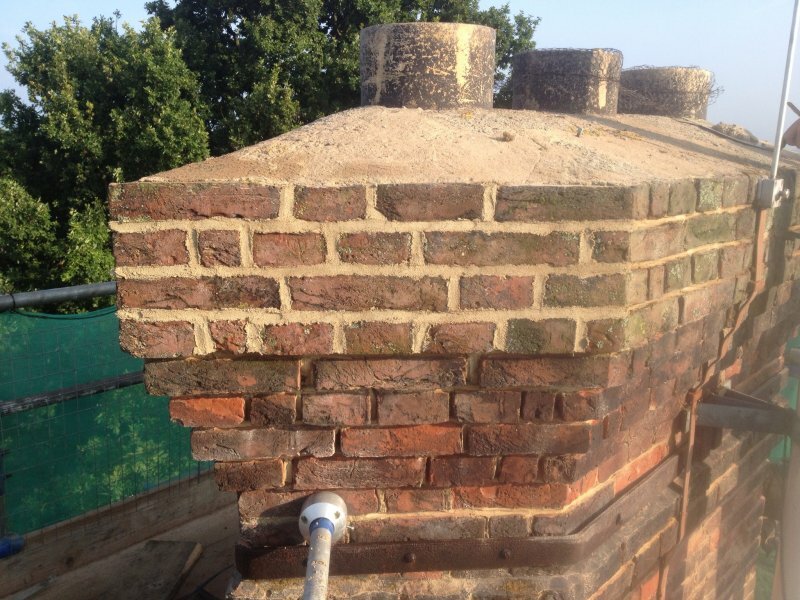 This chimney was taken down to ridge height bricks cleaned and rebuilt using a traditional lime mortar mix to match original. 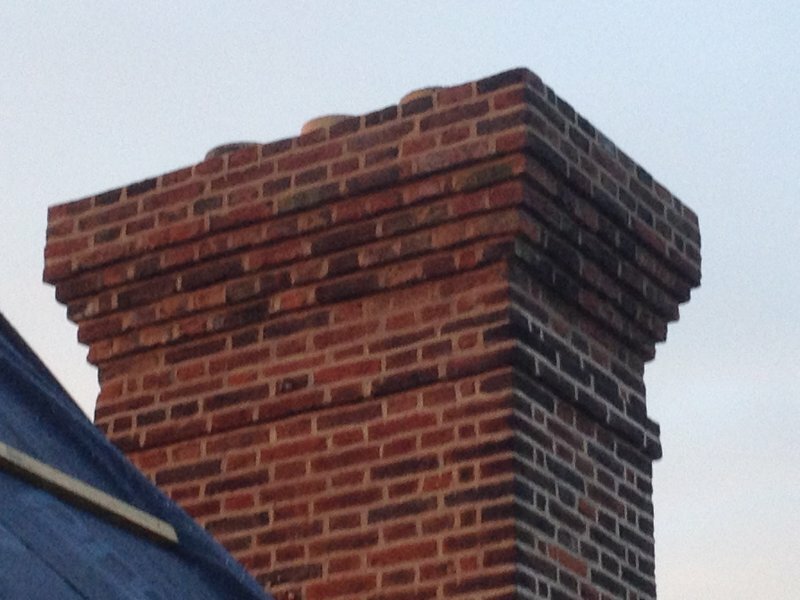 This stack is the largest stack to restore. 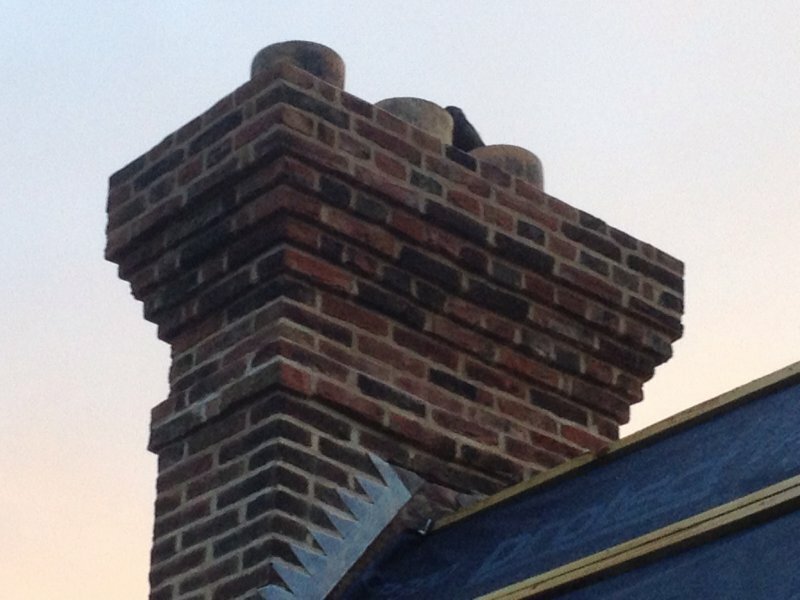 We started to remove damaged and spalling bricks and replaced the damaged bricks with reclaimed Tudor bricks which we found in a reclamation yard with a perfect match. 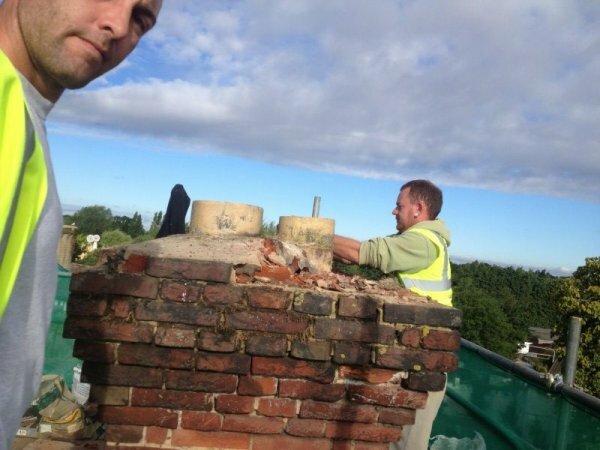 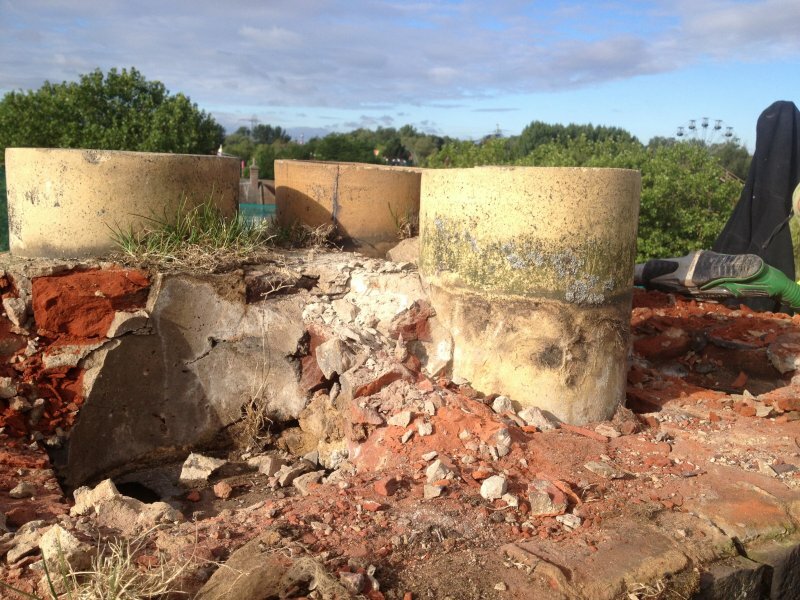 Damaged and spalling bricks removed from largest stack. 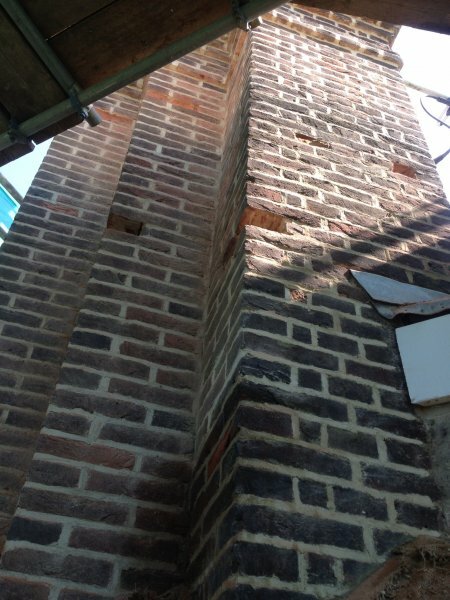 Bricks replaced and repointing begins. 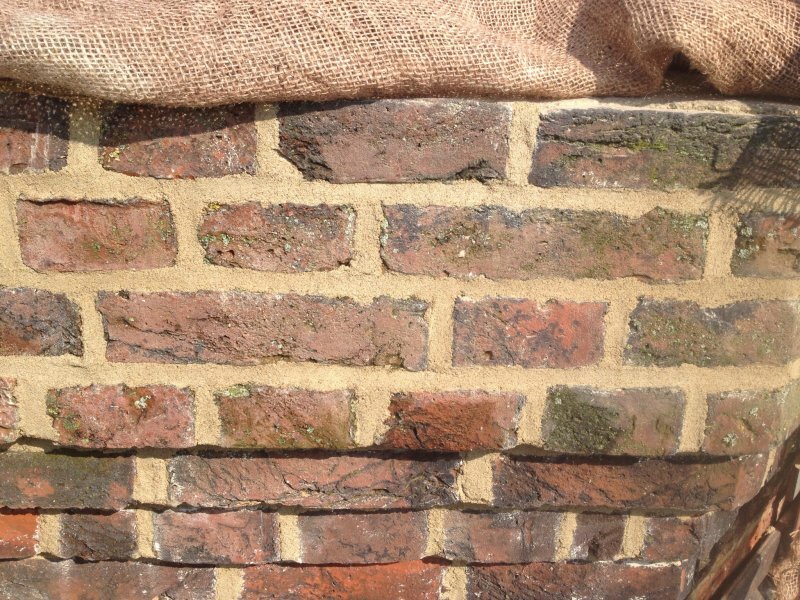 Repointing – We achieved this joint finish by pushing mortar into the raked out mortar beds using a small flat pointer and then gently rubbed the surface using a small piece of lathe wood Baton finished off with a light brush gives a original look and weathering.